Canada, more precisely Quebec may be offering free in vitro fertilization (IVF). It is important to bring out that this applies to the province of Quebec only and not entire Canada and that under the Canadian constitution, health falls under provincial, and not federal jurisdiction. For this reason, medicare decisions about what is insured service and what is not is made by each province. 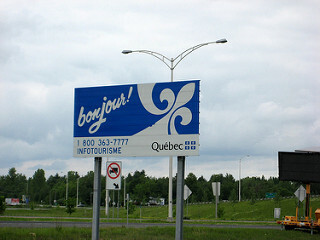 However, no exact details about free IVF in Quebec have been provided yet; this includes information such as what is the date when Quebec medicare will start paying for IVF and what is the criteria (if any) that will apply for free IVF; for example will criteria include age, infertility cause, marital status and sexual orientation etc. It is also not known whether accompanying costs such as medication, ICSI/ testicular sperm extraction (TESE), assisted hatching, donor sperm/eggs, embryo freezing/storage/thawing, etc will be covered, and whether treatment will be funded at private clinics or only at hospital-based programs. It is interesting that Quebec is not the first province in Canada to cover in vitro fertilization. One of the pioneers was British Columbia and Ontario that has been funding in vitro fertilization process since the beginning of 80's. However, in mid 90's Ontario Ministry of Health has limited the funding expenses to 3 cycles from egg retrieval to through to embryo transfer. Additionally criteria bellow is the limiting factor. Woman must be younger than 40 years old by the time the treatment starts. Woman must have both fallopian tubes blocked or missing but not due to sterilization which must be of course supported by medical records. Woman must be a resident of Ontario and Canadian citizen or landed immigrant or refugee. The criteria does not end here because even women who meet criteria mentioned above Ontario Health Insurance does not cover the total cost of IVF that include expenses for fertility medications, laboratory services, embryo freezing and storage, ICSI, TESE, assisted hatching etc... These are all expenses that must be covered by the patient, and the expenses are not small at all.